This species is mostly found along the east coast of Australia, but a few isolated populations live on the southern coast. 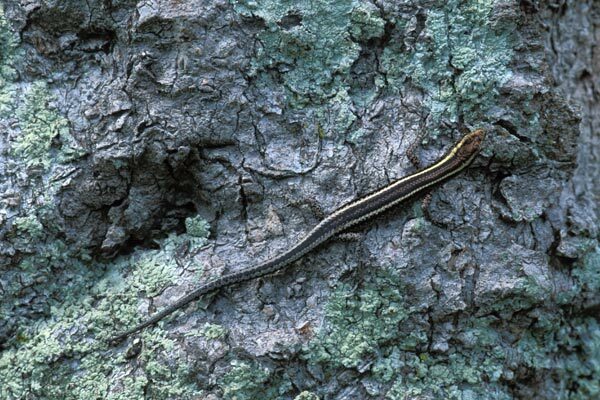 These southern ones are classified as a separate subspecies from the others. 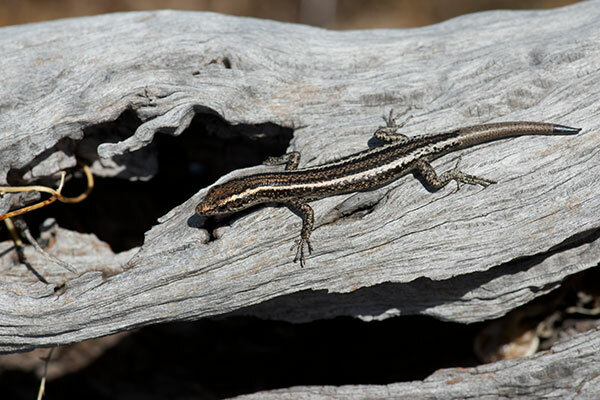 While we were in Wynnum hoping to spot dugongs, I managed to get one of these skittish skinks to sit still on a tree trunk for long enough to focus my camera.